Christa Casebeer hasn't added a story. Nerd Girl Yarns has outgrown the business use of the family home and needs to expand to a commercial studio. Relocating to a new studio would mean not only more yarn & fiber in the colors you love but opening the studio for fiber arts education to the community. 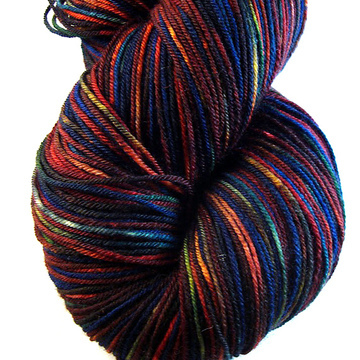 Rather than increase order fulfillment times, continue to cap clubs at lower levels, miss festivals, and discourage the interest yarn shops have had in carrying Nerd Girl Yarns colorways we need to be able to expand. We want to continue to put our customers first, encourage the fiber arts & so we need help moving. 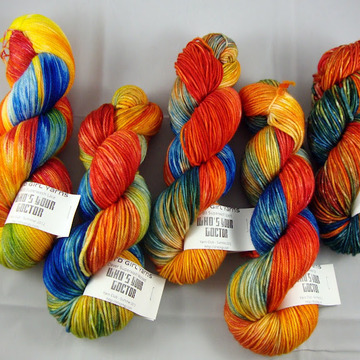 We not only want to provide the colorways you have come to know and love but want to share the artistic expression and technical application of fiber arts with others. In 2012 we offered special items for a small fundraiser to move the dye lab from the living room and kitchen of our home into our basement. We thought this would keep everything running smoothly but Nerd Girls and Guys are so awesome that it&apos;s already too small. Our basement suffers from the same problems other 100 year old homes do and unfortunately that means three-fourths of it floods every time it rains so we can&apos;t use any additional space down there. We can’t run water and pots on our attic because we are out of power draw & the building won’t support that use - plus it gets 100 degrees up there. Neither of these places are great for hosting students or visitors either. The commercial space will be located in our rural hometown of Odessa, MO outside of Kansas City. There are several buildings for rent in our downtown area & we are ready to sign a lease but we need to ensure we can afford the leasehold improvements & new steamers & ovens before we start paying rent on a building we can’t utilize yet. The space will have enough floor space to setup a small shop front, a fiber studio, office space, shipping space, and a dye lab. In addition to being able to add dye pots to expand our ever growing business, we would like to be able to offer the space to fiber arts groups for meetups, host yarn crawls, and offer dye & spinning classes. We want to be able to share our love of fiber and the community that Nerd Girls and Guys have built with as many folks as possible & continue promote innovations in fiber. The money we raise will be used to help make our new space a functioning studio & lab. We need to install two double tub sinks, a new oven, counters, more steam/cook pans, cooling racks, additional drying racks and all the plumbing and electrical parts, inspections and labor to support the facility and equipment. We plan on using as much reclaimed and repurposed materials as possible. We have some fabulous incentives for you if you can help us out! These are even better than before and we plan on starting by not only offering one-of-a-kind yarn & NGY logo’ed items but studio time with one-on-one instruction! Not all of the incentives will have amount buttons on the Give page, please fill out the amount if your choice does not have a button. If you can donate $1: You will receive updates and the inside scoop on the progress of this project & a thank you email. If you can donate $10: I will post your name as a thank you on the Nerd Girl Yarns blog investor/supporter page and you will receive updates and the inside scoop on the progress of this project. If you can donate $15: I will post your name as a thank you on the Nerd Girl Yarns blog investor/supporter page & offer you a guaranteed spot in the Winter round of Who&apos;s Your Doctor club. Limited quantity of these available. If you can donate $20: I will post your name as a thank you on the Nerd Girl Yarns blog supporter page and send you a set of NGY buttons or magnets & a handwritten thank you card. If you can donate $30: I will post your name as a thank you on the Nerd Girl Yarns blog investor/supporter page, send you a set of buttons or magnets, send you a Nerd Girl Yarns logo project bag in the size of your choice (small or large), and a handwritten thank you card. If you can donate $50: You&apos;ll get a thank you listing, buttons or magnets, a project bag plus a skein of yarn in a one-of-a-kind colorway and a handwritten thank you card. If you can donate $75 you&apos;ll get a thank you listing, buttons or magnets, a project bag, a skein of yarn in a one-of-a-kind colorway, a handwritten thank you card, and your name or online name painted on the wall in an art installation in the public space of our studio! 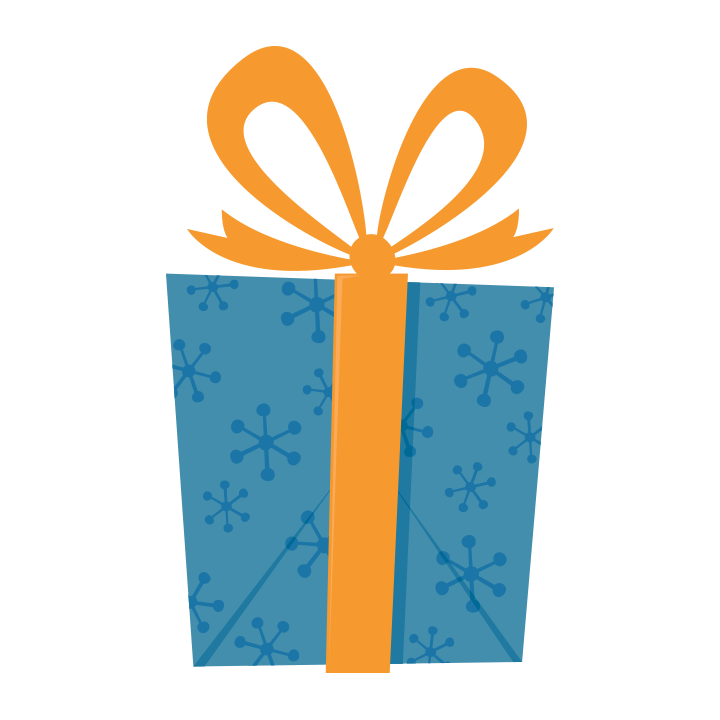 If you can donate $100: you&apos;ll get a thank you listing, buttons, a project bag, a skein of yarn in a one-of-a-kind colorway, your name on the wall, your choice of a super awesome NGY logo T-shirt or an awesomesauce NGY logo tote bag, and a handwritten thank you card. If you can donate $150, you&apos;ll get a thank you listing, buttons, a project bag, a skein of yarn in a one-of-a-kind colorway, your name on the wall, a super awesome NGY logo T-shirt or an awesomesauce NGY logo tote bag, plus I will spin you handspun from any of the NGY fiber colorways or a one of a kind colorway and enclose a handwritten thank you card. If you can donate $225: you&apos;ll get a thank you listing, buttons, project bag, a one-of-a-kind colorway, a handwritten thank you card, your name on our wall, a logo t-shirt or an NGY tote bag, PLUS I will make you TWO skeins of ANY colorway your heart desires on ANY yarn you want. Previous limited editions? Done. A club colorway I said I would never dye again? Done. A special custom just for you? ANY COLORWAY. If you can donate $1,000: you&apos;ll get a thank you listing, buttons, project bag plus a care package with a one-of-a-kind colorway and a handwritten thank you card, your name on our wall, a logo t-shirt or an NGY tote bag, two any colorway skeins from above, plus I will personally knit or weave you a scarf, bag, or wrap (or similar item) in the yarn and colorway of your choice. We will even work together to design it. Want one of those snazzy art yarn incorporated garments? Done. One of a kind art yarn messenger bag? Done. Incorporating light up handspun? Done. It will be amazing and everyone will envy you. If you can donate $1,500: you&apos;ll get a thank you listing, buttons, project bag, a one-of-a-kind colorway, a handwritten thank you card, your name on our wall, a logo t-shirt or an NGY tote bag, two any colorway skeins from above, I will personally spin you a handspun in the NGY fiber colorway or one of a kind colorway of your choice, PLUS you will receive a shipment for EVERY CLUB NGY has or plans to offer for the next TWELVE MONTHS. Nerd Girls & Guys are the best anywhere hands down and I know that you will come through for us! Why are we crowdfunding instead of getting a loan? We don’t want to be in debt. Since I started Nerd Girl Yarns in 2010 I have always used the resources I had and turned profits back into the business for growth. I would rather give back to my supporters and know my investors than give interest to unknown faces behind a lending institution additionally borrowing faster than a business can support is a reason businesses fail. By only investing with what I have available I ensure I don’t bite off more than I can chew and end up closing due to bad financial decisions. I purchase all of my supplies and equipment with cash and plan on continuing to do so. The problem remains that we can’t afford an empty studio until we can fix it up & we can’t keep going without a studio so we have come to you for help. Why should you donate to a for profit business? We are not asking for your charity, we are asking for your investment in our future. We want you to be a part of our lives and our business. You are not donating or giving away money, we are providing goods & services in exchange for a fee just like we do in our shop except we are offering special things we don’t normally carry in our shop in hopes to raise the money faster for this specific project as it has a short timeline. Supporting small businesses helps families and communities grow and thrive & we plan on giving back with the new studio space by sharing our space with groups and our knowledge with anyone who wants to come and learn it. We will contact you within two business days of your donation about any specifics and to let you know we really appreciate you. Will my club discount work for this? Unfortunately it does not. FundRazr is a separate system than the NGY shop & offering discounts on investments changes how the project works plus the fees for using the service cut into the amounts received already. Thanks for understanding. Christa Casebeer hasn't posted any updates yet. You will receive updates and the inside scoop on the progress of this project & a thank you email. All support is GREATLY appreciated! I will post your name as a thank you on the Nerd Girl Yarns blog investor/supporter page and you will receive updates and the inside scoop on the progress of this project. I will post your name as a thank you on the Nerd Girl Yarns blog supporter page and send you a set of NGY buttons or magnets & a handwritten thank you card. I will post your name as a thank you on the Nerd Girl Yarns blog investor/supporter page, send you a set of buttons or magnets, send you a Nerd Girl Yarns logo project bag in the size of your choice (small or large), and a handwritten thank you card. One of a Kind Yarn & More! You'll get a thank you listing, buttons or magnets, a project bag plus a skein of yarn in a one-of-a-kind colorway and a handwritten thank you card. Your Name on the Wall, One of a Kind Yarn & More! You'll get a thank you listing, buttons or magnets, a project bag, a skein of yarn in a one-of-a-kind colorway, a handwritten thank you card, and your name or online name painted on the wall in an art installation in the public space of our studio! T-Shirt or Tote Bag, One of a Kind Yarn & More! you'll get a thank you listing, buttons, a project bag, a skein of yarn in a one-of-a-kind colorway, your name on the wall, your choice of a super awesome NGY logo T-shirt or an awesomesauce NGY logo tote bag, and a handwritten thank you card. You'll get a thank you listing, buttons, a project bag, a skein of yarn in a one-of-a-kind colorway, your name on the wall, a super awesome NGY logo T-shirt or an awesomesauce NGY logo tote bag, plus I will spin you handspun from any of the NGY fiber colorways or a one of a kind colorway and enclose a handwritten thank you card. Fill in this amount on the donation page. 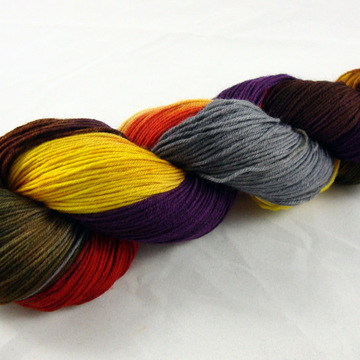 2 of ANY colorway, a OOAK yarn & even more stuff! you'll get a thank you listing, buttons, project bag, a one-of-a-kind colorway, a handwritten thank you card, your name on our wall, a logo t-shirt or an NGY tote bag, PLUS I will make you TWO skeins of ANY colorway your heart desires on ANY yarn you want. Previous limited editions? Done. A club colorway I said I would never dye again? Done. A special custom just for you? ANY COLORWAY. Two Days in the NGY Studio for TWO! Knitted Garment Just for You and MORE! You'll get a thank you listing, buttons, project bag plus a care package with a one-of-a-kind colorway and a handwritten thank you card, your name on our wall, a logo t-shirt or an NGY tote bag, two any colorway skeins from above, plus I will personally knit or weave you a scarf, bag, or wrap (or similar item) in the yarn and colorway of your choice. We will even work together to design it. Want one of those snazzy art yarn incorporated garments? Done. One of a kind art yarn messenger bag? Done. Incorporating light up handspun? Done. It will be amazing and everyone will envy you. EVERY NGY CLUB FOR 12 MONTHS! And MORE! You'll get a thank you listing, buttons, project bag, a one-of-a-kind colorway, a handwritten thank you card, your name on our wall, a logo t-shirt or an NGY tote bag, two any colorway skeins from above, I will personally spin you a handspun in the NGY fiber colorway or one of a kind colorway of your choice, PLUS you will receive a shipment for EVERY CLUB NGY has or plans to offer for the next TWELVE MONTHS. Spots are limited! I will post your name as a thank you on the Nerd Girl Yarns blog investor/supporter page & offer you a guaranteed spot in the Winter round of Who's Your Doctor club. Limited quantity of these available! Christa Casebeer is managing the funds for this campaign. The campaign is for a personal cause.